My leadership style I have learnt sometimes depends on the situation. You can head into a leadership position with big dreams and the best intentions, and then remember you have to work with people who may not be on board with those big dreams, and suddenly lose those best intentions. Other times as a leader you go into the situation ready to move forward, but because of mandates, rules and the politics of distraction (Hattie. 2015) you can become insecure and not sure what to do first. As leaders, when we have so many choices of where to start we sometimes choose not to choose at all. Understanding our current reality is important, but what should be on our radar is not always so glaringly obvious. Personally I always go back to Stephen Covey’s seminal work, The 7 Habits Of Highly Effective People he showed us with 7 habits that all successful people have, and taught us that with some hard work we can adopt those habits too. Be proactive – Anticipate and act, no matter how difficult the situation. Begin with the end in mind – What do we want out of leadership, and what should we want as a school community? Put first things first – Drop the politics of distraction, understand our current reality, and take actionable steps to achieve that goal. Seek first to understand then to be understood – Leaders should listen more than they talk, and try to understand where the other person is coming from before they try to move forward. Sharpen the Saw – Know when to take a break. Schools with initiative fatigue never sharpen the saw. John Hattie’s work provides an important insight into the nature of educational research and the notion of measuring impact. The idea that some strategies can be shown to have had more impact on average over time relative to others is crucial and his general message about the implications for teachers and the profession is very strong. This video,gives a very good idea of Hattie’s thinking. Of course, the effect size concept is problematic and is open to misinterpretation. This will create more discussion. What do you think? 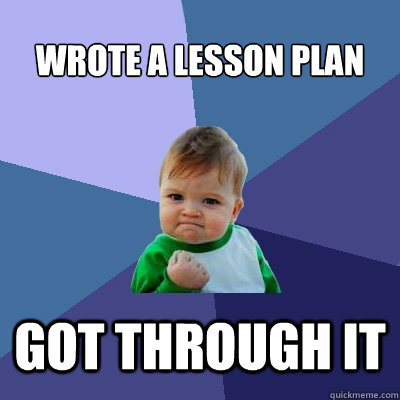 Planning the level of challenge of your lessons can be a difficult task. It is important that knowing your group and where they are will help this. My pieces about the famous learning plan have illustrated this. What you plan to do needs to be related to prior learning – which is why formative and summative assessment, and what you do with it, is so important. For a while I thought I’d planned challenging lessons for all. But that was the problem. I rarely differentiated on an individual level and predominantly set the same task for all. Challenge should apply to the learning, not merely the task. And the learning needs to challenge all students. Now this is a real skill and one that I have been honing for a while. I often organise prior learning collaboratively which my students love. Using colleagues to bounce ideas off of can be an excellent way of designing lessons. There have been numerous times when I actively seek out colleagues and run ideas past them. I know many departments set time aside to collaboratively plan larger schemes of work, but having a critical buddy to work with on individual lessons can be a great resource. I will pay particular attention to the level of it in my lessons. It’s important that I pitch it right. Too easy and there is no reward. Feedback has less effect and becomes low value. Too hard and it can provide a feeling that achieving this goal is unobtainable. The only way I will know if the levels are correct is if I go back and check prior attainment and know my group before planning my lesson. So why pay more attention to challenge this year more than before? Well because of the various factors that it links to. Memory and feedback being two in particular. If we are to get the glutamate and dopamine present whilst learning and thus commit what we are learning to memory, we need to ensure that what work we set is challenging (so there is potential for a reward – achieving the goal) and actually achievable (to release the reward – chemicals). If work is too easy and not challenging, these chemicals aren’t released as highly and won’t be committed to the long term memory (the aim of learning). As I prepare students for their next assignment I have stirred considerable interest in feedback and feed forward in conversations with students and staff. Effective feedback is an enormous topic – and a crucial one for us to understand due to its powerful effect on student achievement. Few aspects of teaching and learning have more potential to raise achievement. To be effective, feedback must be goal-referenced, understandable, and immediately actionable. Feedback should not be advice, evaluation, or value judgements. Marge Scherer, editor of ASCD’s Educational Leadership, says that the best feedback “describes what the student has done and helps the student decide what to do next.” – notice she used the verb “describes” and not “evaluates”. Hattie and Temperley called these: feed-up, feed-back, and feed-forward. Grant Wiggins does a great job of further describing what effective feedback is and isn’t in his article: 7 Keys to Effective Feedback. The key to effective feedback actually comes BEFORE the students begin their work. Effective feedback requires well designed learning goals and success criteria against which students’ progress can be compared to formulate good feedback. The timing of the completion of the work must be planned so the feedback can be given DURING the learning process, not after it. 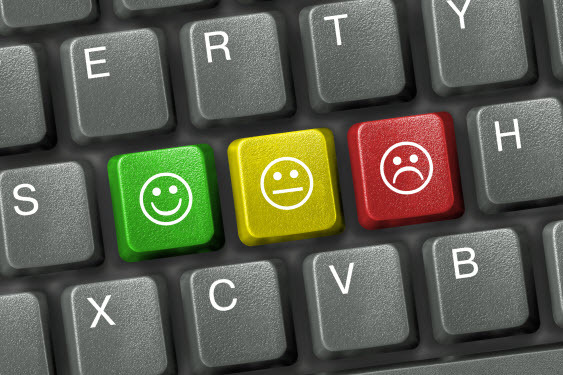 Feedback loses a great deal of its impact if it is accompanied by a mark or grade. Do the students know what success looks like? Are the criteria clear enough for students to measure their work against it to identify gaps? If you have the time and want to dive into some indepth study of Learning Goals, the Ontario Ministry of Education has put together a short-course: Learning Goals & Success Criteria (6 videos of approx 8mins and a 57 page self-study guide). Thanks to my PLN for providing me with this information this week. Thanks for the questions and feedback on online learning. I hope this is useful. In my teaching environment we commonly use the discovery approach to learning. Students have little trouble with the discovery approach to learning (Constructivist), so long as it is purposeful, engaging and directed at using the processes of cognition that improve learning. The experience of this pedagogy is that it encourages teachers to deliver lessons that are accessible to the Visual, Auditory and Kinesthetic learner. The research of Kolb and Fry and also of Peter Jarvis, serves to remind us that in designing Online Courses, it is necessary to cater for the wide range of learning styles that exist (Smith 2001). Online Learning, should allow students to experience the Visual, Auditory and Kinesthetic aspects of learning. This suggests that the online delivery of courses should draw on rich-mixed forms of media, to ensure maximum engagement with the students. Please contact me for references noted here.